A number of Tottenham players were in action last night including Younes Kaboul, Roman Pavlyuchenko and Luka Modric. Pav was on the score sheet for Russia once again in their 6-0 rout of Andorra but elsewhere, one man stood out above all else. Gareth Bale scored and starred in Wales’ impressive 1-0 win in Bulgaria last night. It may have been a dead game, but it will give the Welsh and their manager Gary Speed great hope for the future. “Gareth was phenomenal again,” Speed said after the game. 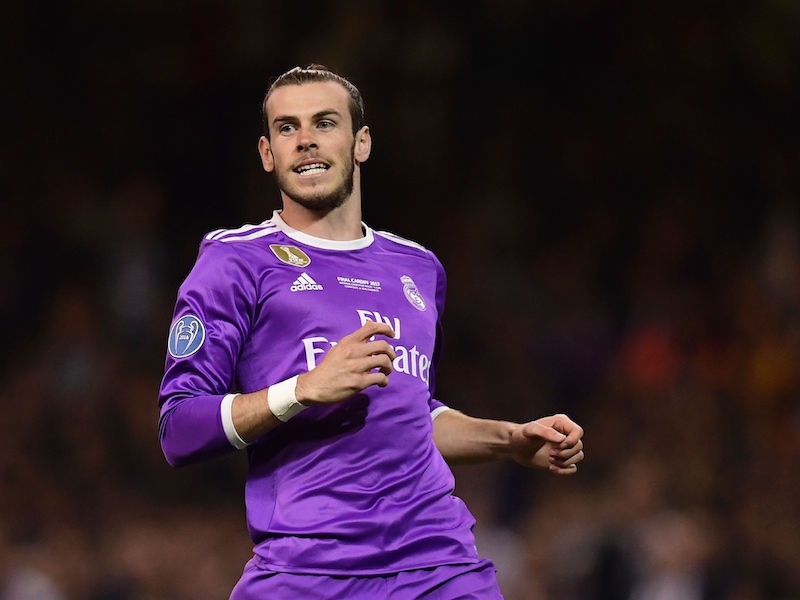 Bale scored with a deflected shot and also hit the bar with a stunning volley. His man of the match performance seems to underline the fact that he is putting his injury concerns of last season behind him and returning to his best form of 2010-11 and that can only be good news for Spurs fans. Not a bad idea Dav, but Bale as a striker would be very similar to Defoe I reckon, they are both very direct with not much holding the ball up, although Bale is much better running with the ball at his feet. I like the thought of Bale as a lone striker, but then we also lose his service from the left. To counter this I would move Walker up to midfield in front of Corluka as he seems to be the closest we ave to Bale on the right; however we then are into the realms of chopping and changing too much and will probably end up with us losing the game. If Ade is definately out for Sunday, I wouldn’t want to be in Harry’s shoes to have to pick a team and formation! There are also rumours that Ba may be out for them. I’m not sure if I’d like to see Bale as a striker but I wouldn’t be too shocked if it worked. Similar to suppose for speed and a willingness to take a shot but he’s also around 6′-0″ (rather than Defoe’s 4′-1″, or whatever) and has been looking more impressive in the air, lately. I suppose we do have more quality players who can play out wide (Niko, Gio, Falque, Lennon, Rose, etc.) than we do up top. Sandro must start. There is no way harry will play Bale up front despite it being a reasonable idea. I agree, sandro will defo start on sunday. Newcastle away on form is very tough and we need the 2 hard men in the middle. i’d say he’ll go with VDV and defoe up top if the big man is unfit to play.The trouble at the moment in my opinion is fitting in VDV. It means modders has to play on the right or the left to get all our best player on the pitch. He has to go with VDV and Defoe upfront, we cant play Pav, on form them 2 pick themselves espiecially with Ade being out. I know VDV and Defoe has never really worked but they are both on form and we have no other options so have to go with it. VDV+Defoe were awful together earlier this season. If Ade is missing we got to choose one or the other of them up front with 5 in the middle. Not sure if VDV would enjoy the work rate required of a lone striker so I expect Defoe gets the nod. Bale and Lennon on the flanks will provide us with some attacking options though and we might get away with it as Newcastle should attack and make the game open. Bale and Lennon could switch flanks several times during the game to cut in and go for goal. Lennon does this naturally anyway and Bale showed last night and in other games for Wales that he can play on the right or wherever he wants as he is that good. Lennon isn’t fully fit yet, is he? Also, he CAN cut in and go for goal and if he DID I’d be a lot more excited about him, but the last year or so Lennon is much more likely to second guess himself and just play the ball back to the RB. Bale can play either side but seems to be more effective on the left. Bale as a centre forward would be effective but he’s just too good on the left flank to move. He can beat practically any Premier League defender down the wing on his day and wins so many free kicks in dangerous areas (and gets players booked in the process). If we had someone to replace him there I could see it but he cuts in a lot anyway and we’ve got talent up front as it is. Plus he works hard and gets back to cover and that’s harder to do from right up front. Maybe on the left in a 4-3-3 would work but I’m sure ‘Arry wouldn’t go for that. That said, he’s got a mean header on him and it’d be nice to get him on the end of his own crosses. How far advanced is human cloning these days…?